At the end of World War II, advancements in military aviation strength played a major role particularly in the Korean War and then later in Vietnam. This early era of Military Air Power documents some of these key developments, including a 1:72 scale post-war Lancaster. Corgi aircraft come with retractable landing gear (where applicable) and a handsome display stand. 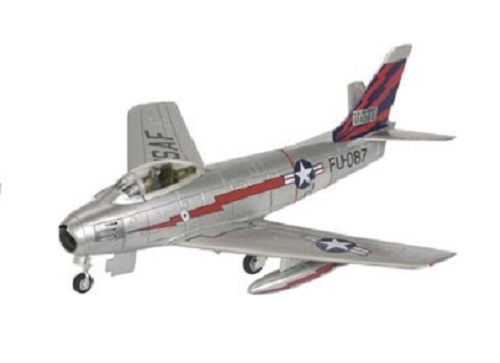 The first swept-wing airplane in the U.S. fighter inventory, the F-86 scored consistent victories over Russian-built MiG fighters during the Korean War, accounting for a final kill ratio of 10-to-1. Interestingly, all 39 United Nations jet aces won their laurels in Sabres.